Exercise your right to brew! The luck of the Irish will be with you through the home brewing process on this one! 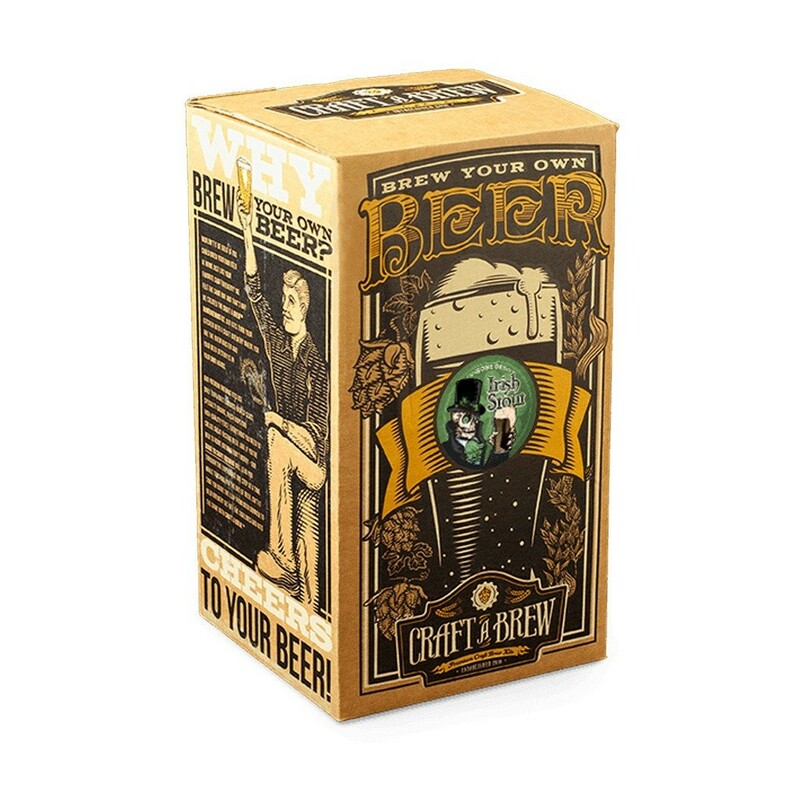 This beer brewing kit features the Bone Dry Irish Stout recipe, a dark and toasty brew with mild English hops and notes of coffee, chocolate, and toffee. Brew this unique beer for St. Patty’s Day or any other day of the year. This beer making kit comes with everything you need to make this delicious Iris Stout including: 1x Glass Carboy, 1x Funnel, 1x Racking Cane, 1x Rubber Stopper, 1x Transfer tubing, 1x Tubing clamp, 1x Airlock, 1x, Thermometer, a Guide to Craft Brewing, the American Pale Ale Recipe kit, and Sanitizer to clean up when you're done! Each kit makes 1 Gallon of Beer. Beer Bottling Kit not included. 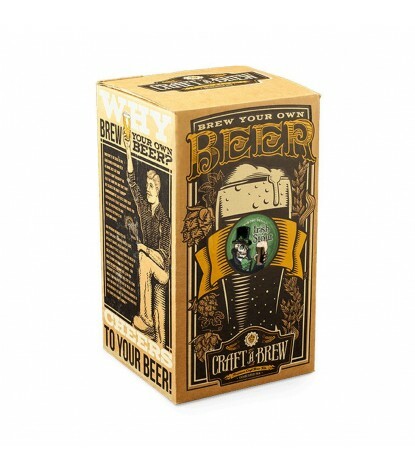 Craft a Brew strives to create beer brewing kits that will make outstanding craft beer right out of the box. Designed to turn beer lovers into beer brewers and to have customers make the best possible beer in their own kitchen on their first attempt. Using only high quality, fresh ingredients and the same basic processes that award winning home brewers and professional craft brewers use, at a price that is accessible to just about any craft beer drinker.